Source-Self-Knowledge Daily — Working to improve our relationship with ourselves and bring our awareness to our relationships. Visit our website and follow us on Twitter and Facebook. 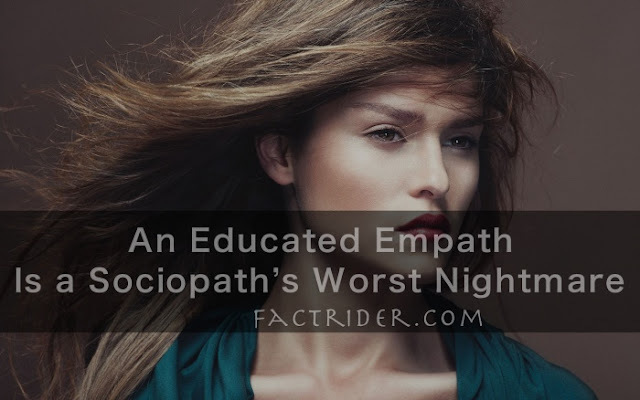 This article is so true, the Sociopaths and Narcissists simply cannot take on an Empath on their own let alone an Educated Empath, they need to 'recruit' as many people as they possibly can with their wiles, charms and especially crocodile tears. They set about on a obsessive destructive agenda and never give up. They fail to understand that their agenda will ultimately backfire destroy them.